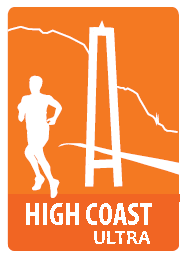 High Coast Ultra puts a lot of value in quality and security during the race and we therefore continually work with improved marking of the trail to minimize the risk of deviations from the trail. We also have first aid help and HLR-educated people in our staff at every checkpoint. The High Coast Ultra is a very tough race. Be prepared for the conditions on parts of the trail that will be very technical with rocky and stony ground. If the weather and the conditions are wet during the race it might be very slippery on parts of the trail. Make sure to adjust your running speed to avoid injuries! Skoved approximately after 70K you are preferably running on the left side of the E4 which you follow there for about 600 meters. Runners should be familiar with very long distances in demanding terrain. It is important that you study the and understand the rules for the race to prepare yourself in the best way possible. Every runner must complete a form with personal information including medical history and telephonenumber to relatives (ICE-number) that may be useful for the organizer to know about. Each participant must make sure that he or she is registered at the checkpoints along the course (only at the food stations, not the water stations). Missed registration may lead to disqualification. It is forbidden to deviate from the trail (the exception where the organizer clearly marked this). However, own provision may be made at the food stores and gas staions that are passed, but then one should return the same route to the trail. Service teams or other people except at the organizers food- and checkpoints ( Mädan, Skuleberget, Näske och Sandlågan). It is not allowed to receive help at the water stations that the organizer is providing. HCU has decided that pacers are allowed after the food- and checkpoint in Sandlågan after 112K. Pacers are obligated to follow the same rules as the runners. Pacers are not allowed to carry food and beverages for the runners as well as helping the runners in any other way, like pulling the runners with rubber bands. In the event of accident or illness every runner is obliged to help other runners in every possible way. Littering is strictly forbidden, this should be done at one of the food- and checkpoints. If you has to discontinue the race this must be done at one of the food stations if it´s possible. You also have to inform the crew at checkpoint. If you have to discontinue the race at another place along the course this must be reported to the race director by telephone. Competitors must give preference to any hikers on the trail, and otherwise show consideration for the rest of the outdoor life. Cancel the race if, for example, track conditions are too bad. Full refund will then be made to the contestants. Change the course if the prevailing weather conditions so require. Disqualify a competitor who violate any of the set rules or do not meet the cut-off times that´s applyed, or is considered to be in poor condition to continue. Mobile Phone with the race directors number (070-6867680) saved. Map (HK-Trail folder in the starter envelope). The organizer may make spot checks on the participants’ equipment. The absence of compulsory equipment entails a time supplement of 30 minutes per missing item. Competitors will be able to send drop bags to two of the food- and checkpoints in Skuleberget, Näske or Sandlågan, free of choice, and one bag to the finish. If sending drop bags, these can be left at the respective start on specially designated places. Your drop bag will then be at the food- and checkpoint chosen on arrival. Mark your bag/drop bag with the number tags provided in your starter envelope. After each control’s closing the drop bags will be taken to the finish where they can be collected on presentation of your bib number. The organizer takes no responsibility for any valuables. Bags from the start will be at the finish in the morning. Dropbags are continually transported to the finish and will be delivered at the latest in the evening 8 PM on Saturday night.